Bio-Retina is a new project the goal of which is to create a minimally invasive retinal prosthesis; it is being designed in a joint venture between Centre Suisse d’Electronique et de Microtechnique, Rainbow Medical and Zyvex Labs. 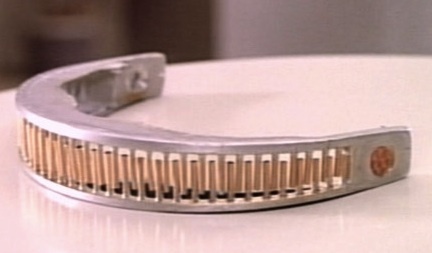 The designers of the device believe that return of sight would be immediate, following a week of post-operative recovery. The following video is short and concise - and well-illustrated. Bio-Retina incorporates various nano-size components in one tiny, flat implant, approximating the size of a child’s fingernail bed. Its simple 30-minute implant procedure requires local anesthesia, a small incision and “gluing” of the device to the damaged retina. Return of sight is anticipated to be instantaneous: 24x24 with the first generation and 72x72 with the second generation product, enabling persons who have undergone the procedure to watch TV and identify faces. Bio-Retina transforms naturally received light into an electrical signal that stimulates the neurons, which send the pictures received by Bio-Retina to the brain. Bio-Retina works harmoniously with the natural functionalities of the eye, including pupil dilation and eyeball movement. Patients will be able to look from side to side with their eyes rather than needing to turn their heads, as required by competing technologies. 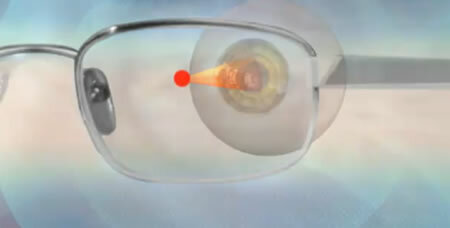 A rechargeable, battery-powered mini laser, situated on a pair of eyeglasses, efficiently powers the implant wirelessly. The press release does not make clear how much progress has been made thus far.. The first clinical trials on humans are scheduled for 2013. From Nano Retina press release via MedGadget.